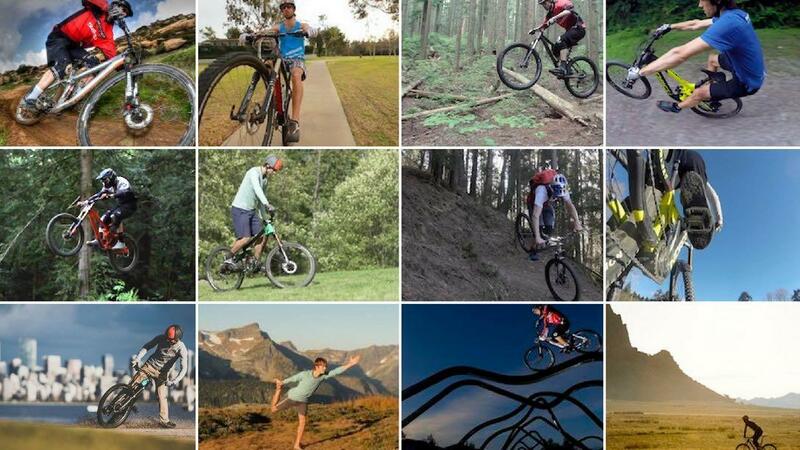 The best mountain bike skills video tutorials in the industry! 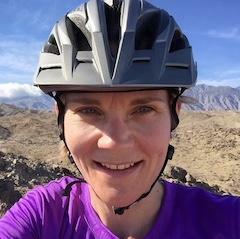 An online mountain bike skills coaching membership program for adults, offering step-by-step video tutorials with practice drills and clear objectives for safe and long lasting results. Pro-rider & coach designed courses for adults who want to take their riding to the next level... and beyond! 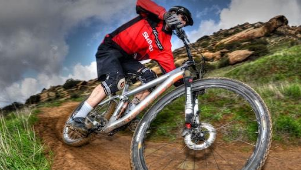 Gain access to the best mountain bike skills video tutorials in the industry and take your riding to the next level! 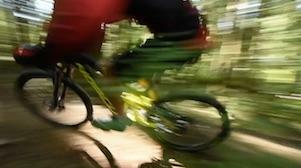 How Does Online Mountain Bike Skills Coaching Work? Detailed video progressions show you everything you need to know. Our team of professional mountain bike coaches and ambassadors are standing by to provide personalized feedback and encouragement. Or share your challenges and successes with our member-only Facebook group for crowd-sourced feedback and inspiration. 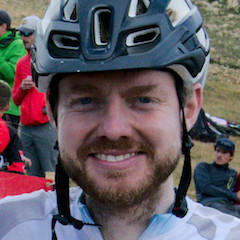 Meet Head Mountain Bike Coach, Ryan Leech! During his 20-year pro riding career, Ryan Leech performed thousands of stunt shows around the world, including Cirque du Soleil, IMBA World Summit and Crankworx. 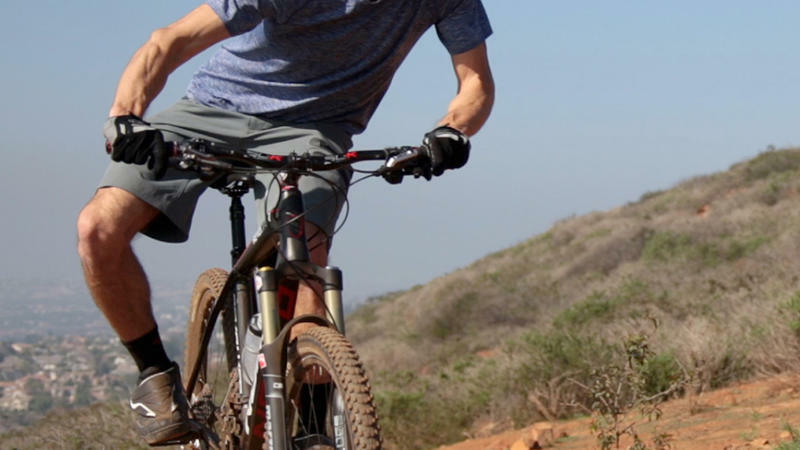 Ryan has appeared in dozens of MTB films, including The Collective and the Kranked series and is credited with progressing the sport of trials into a new era. 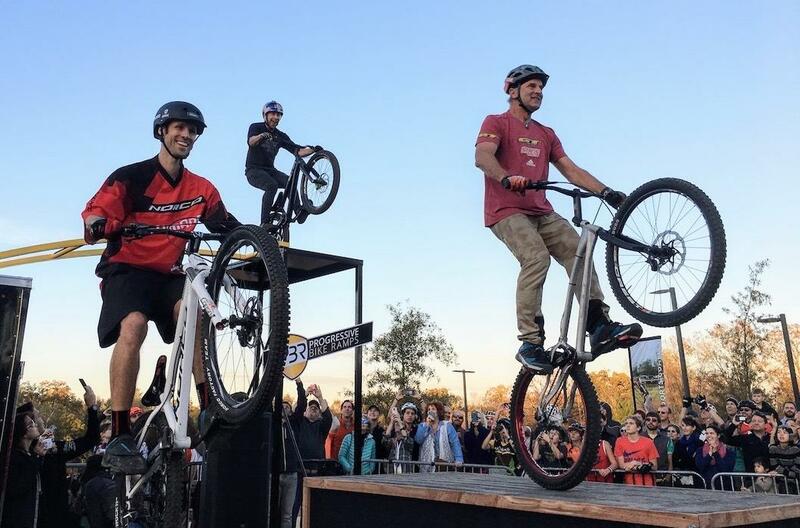 In the photo opposite (that's Ryan on the left), he performs his final trials stunt show with two other legends of the sport, Hans "No Way" Rey and YouTube sensation, Danny MacAskill. He has been coaching mountain bikers since age sixteen and is an avid explorer of human potential, a yoga instructor and Integral Master Coach™. 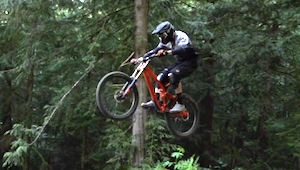 "I’ve been working on manuals this summer with your lessons and it’s truly had an amazing effect on my riding. Just finished up a trip to Moab & Fruita this week & the results paid off in spades. I actually looked forward to rock drops and landed them successfully, was clearing gap jumps and even manualed over my first crack / dip today. 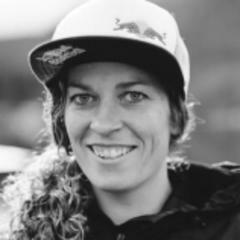 Thank you sooooo much for all the time & energy you’ve put into this endeavour of teaching us how to be better riders. 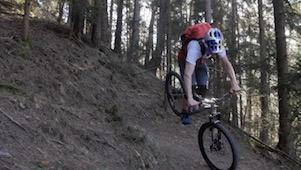 "Hey Guys, first of all - thanks for the best mountain biking online platform out there. It is on a complete different level than the normal Youtube videos you find out there. 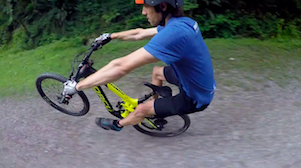 I just became a certified MTB instructor by the German Alpine Club and I can see how a lot of educational tricks we apply are embedded in the practise sessions from the videos. Great Stuff." "You have elevated my riding dramatically. To put this in some perspective. The first trail I tried when I moved to Colorado some years ago was Dakota Ridge. This is perhaps one of the most technical trails in Colorado. Where I once hiked a bike 90% of the time, I am now riding 95% of this trail. Your lessons have helped tremendously. 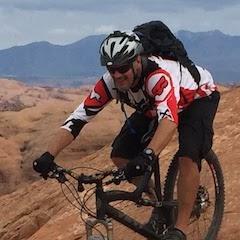 I spent most of the last winter in Moab riding lots of technical terrain. It has been through your lessons that I was able to clean what I see many others hike." "It was really fun being guided by Ryan for the wheelie challenge. He is so calm & thorough with his teaching style, I really enjoyed all the daily lessons and made a lot of progress even with my skill sets as a pro. I practiced every day, learned a lot, & went from a few pedal strokes to about 30 pedal strokes under control. Anywhere I go now, I’m wheeling thanks to Ryan." Start Your 7 Day Free Trial then just $19/month or $171/yearly. Our coach team is ready to assist you to meet your goals! Can I try a course for FREE? Sign up for a free 7-day trial for an all-access pass. Or try a course for free to experience what online skills coaching is all about! Can I purchase just one course? Yes! Visit the Store page to explore all the courses we offer. However RLC is designed as an interactive and integrated system. For example, if a member gets stuck, our coaches may recommend drills from a variety of courses. 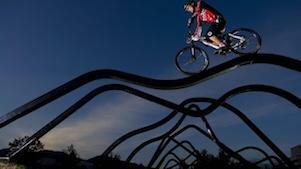 Most riders tend to work on a few courses simultaneously to round out their practice sessions. What level of skill is required? All courses progress riders from a beginner level through to advanced level challenges - so all levels all good! Can I view these courses on my cell phone? You bet! Currently our App is available for memberships only. Download the Apple or Android and start today!. How do I get feedback? Accurate feedback is our mission. Post a video or ask a question, it's that simple. Ryan is active answering questions, as are our coaches, ambassadors and members. There are hundreds of lessons, how do I keep track? Course completion is tracked via progress bars and the site even remembers where in each video you are (and resumes from that point), no matter what device you are using. Is there a membership contract? No contract or minimum - join by paying monthly or save by paying yearly. We also provide a 30-day money back guarantee. And there are no distracting advertisements anywhere on the site. Our motto! All the curriculums and content is designed by leveraging this integrative perspective for adult learning. Every trail is unique and each demands a unique combination of skills. Trails are why we mountain bike, they connect us to challenge, nature, and experience. 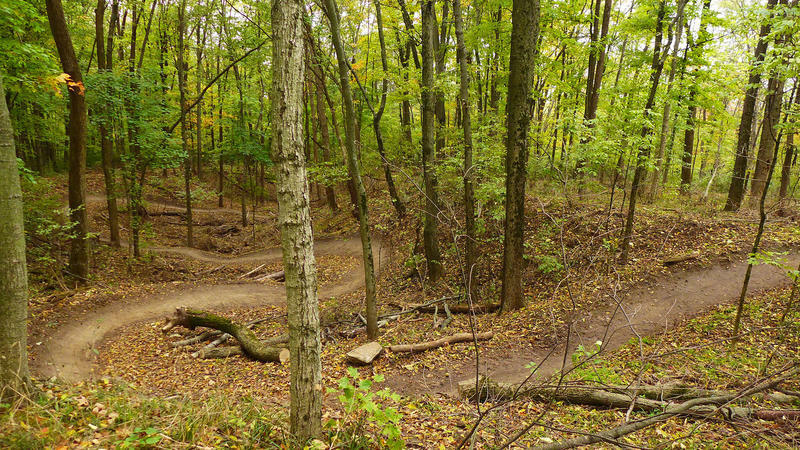 Improving your skills will allow you to ride the trail as the builder intended, without skipping the fun bits. 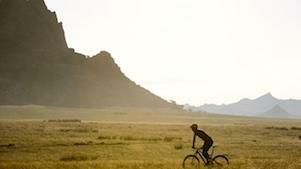 Progressions that slowly build in difficulty are used to establish correct bike-body movement patterns. Our bodies, just like our bikes, also need maintenance, so the site offers 50+ yoga and therapeutic movement routines for when you need a tune up. A crucial yet under-appreciated aspect of adult learning is how we use (or don’t use) our mind. We build this into each and every course and provide mental fitness practices to boost your performance so you can be your best. Find flow by intentionally engaging in practice drills and theory. Eventually the mental effort of learning drops away and you'll find yourself in the zone. It's a mysterious state, and one we discuss frequently at RLC. Our courses will help get you there. 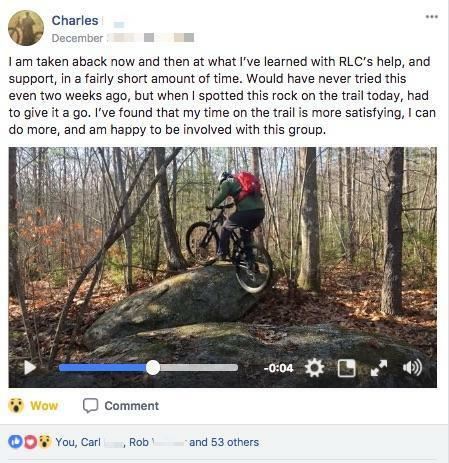 What's it like to be an RLC member? YouTuber Dusty betty shares her experiences. Try it FREE for 7 days - No contract - Cancel anytime - 30 Day money back guarantee! Personalized coaching service - at your request! Unlimited video critiques - film your practice and share to gain feedback! Why pay for the off-season? Get yearly access with 3 months FREE! 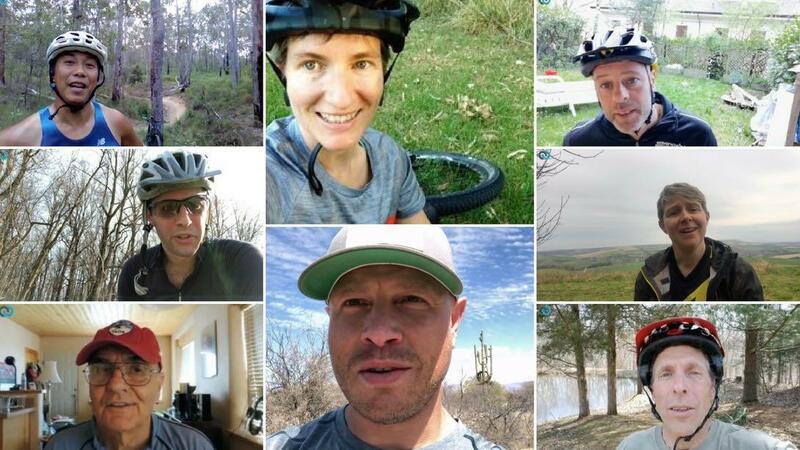 Our members enjoy the interconnected variety and challenge of having access to an entire library of the best mountain bike skills video tutorials and in-depth courses. Click to learn more about specific courses. 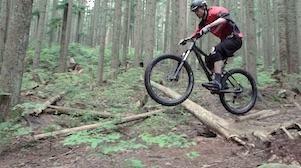 But beware, practicing mountain bike skills is addictive! Our members love practicing their mountain bike skills and can often be found playing around well past dusk, having too much fun to go inside for dinner! Click below to hear first hand what it's like to be a Ryan Leech Connection Member!